Building a house near beach was a dream come true for university students Melanie Bunch and Matthew Holthouse. After buying a block at Alkimos Beach Estate, the couple embarked on their search for a builder, a process they described as overwhelming until they walked into a New Generations display home and met sales consultant, Colin Copeland. Their chat with Colin put them at ease and he offered them suggestions about the design of their new home – ideas which they had not previously considered. “We were really impressed with his professional manner and how he took the time out of another meeting to greet us and asked if we had any questions – he was more than happy to answer our questions,” they said. Colin encouraged the pair to ‘shop around’ with other builders and do some more research. 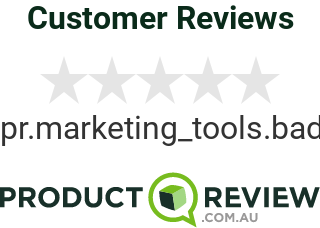 “Colin was very confident in the New Generations product regarding the quality of the home, and when comparing product reviews between New Generation Homes and other builders, the quality of our home was something we definitely wanted to invest in,” they said. Colin helped the couple with several options in creating a house design to suit their block at the masterplanned Lend Lease and Landcorp estate, which has been nationally recognised twice this year. It received the accolade of Best Residential Development at the 2018 Urban Development Institute of Australia (UDIA) National Awards for Excellence and also received the National Innovation and Excellence Award for Best Master Planned Community by the Property Council of Australia. “We couldn’t have done it without him,” Melanie and Matthew said. “When we were brainstorming our potential floor plan, Colin was more than helpful with suggestions for the functionality and end value that the home will bring,” they said. The couple settled upon a four-bedroom, two- bathroom home design, which includes a theatre room, alfresco area and a double garage. Self-confessed foodies, a big kitchen was a must-have, along with a massive pantry. The spacious master bedroom features two walk-in robes, which lead through a cavity door to the ensuite, which has a double vanity and luxury double shower. The front elevation will feature limestone brick to complement the beachy feel of the estate. The pair, who work part time while balancing their tertiary education studies, say they were grateful for the reasonable deal they received to build their home. “It has definitely not been as tough as everyone tells you it is going to be,” they explained. Could you be our next happy client? To start your journey to building your new home, contact our New Homes Consultants on 6555 7548 or enquire online now.